مركبات هيدروليكية طية هيدروليكية قابلة للطي تستخدم بشكل رئيسي لإصلاح الإضاءة ، وتركيب اللوحات الإعلانية ، والإصلاحات الكهربائية ، وأشجار زراعة الحدائق ، وخطوط جوية وغيرها من عمليات الارتفاعات العالية. ارتفاع العمل 14 متر إلى 16 متر. The front of the car is800mm. 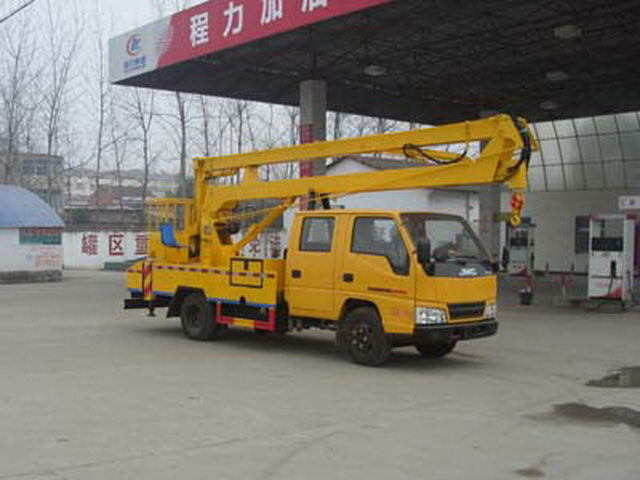 Optional section two work arm,Job height is12rice; Optional section three work arm,Job height is14M and16M. 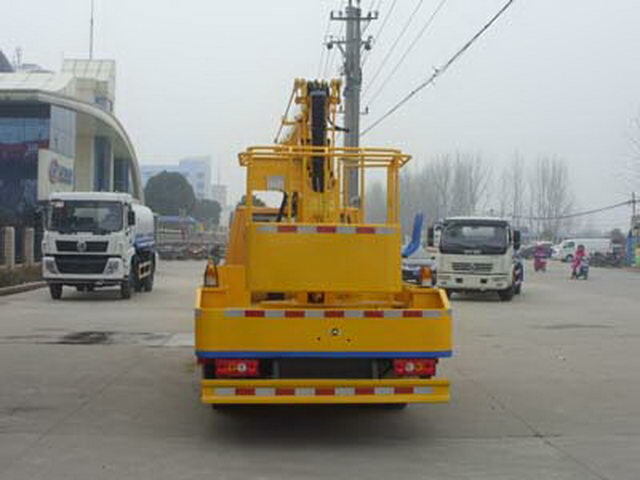 Protective material:Q235Acarbon steel,Connection mode:The left and right sides and the rear lower part are protected by welding connection,Rear section size(mm):170*50,Rear protection height(mm):350.ABSSystem model:APG3550500A,ABSSystem manufacturer:Zhejiang Asia Pacific Mechanical and electrical Limited by Share Ltd.
Other: ABSSystem model:APG3550500A,ABSSystem manufacturer:Zhejiang Asia Pacific Mechanical and electrical Limited by Share Ltd. Engine maximum net power:83kw. Optional headlamp,The front fog lamp,Front position lamp,Front turn signal lamp,front of a building,Front bumper. 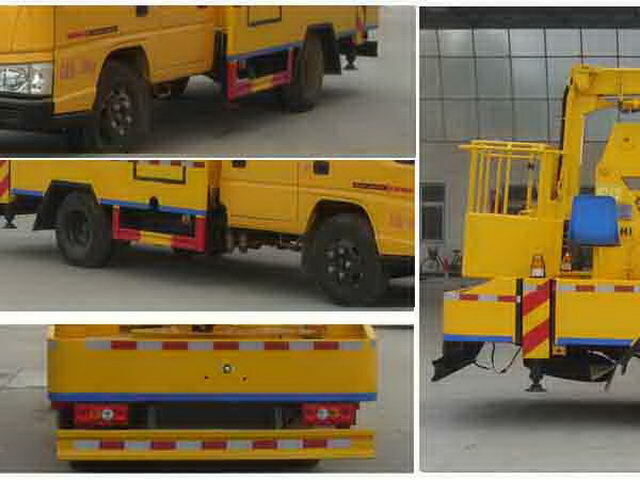 Optional combination lamps,Optional rearview mirror,The optional frame frame of black film,Optional four hole plates.